A hands on and interactive workshop which gives students a chance to learn about crime during WW2 & life on the Home front. Age group: Keystage 3/4 for Year 9,10,11. Though it has also worked successfully for Year 7s in the past. Display area: School hall, gym, drama room, dance studio, or similar large indoor space. A large classroom might be possible without the bomb shelter. If the bomb shelter is required we need a ground floor room with no steps up to it to wheel the shelter in. Crime is not something that most people associate with wartime Britain, we tend to think more about Dunkirk and the blitz spirit. However crime was more prevalent during the war than before, partly as so many things were made a crime during the war, which had not been beforehand. From the more obvious crimes such as selling food off ration to simpler ones such as throwing away a bus ticket (wasting paper) the punishments could be quite severe. In the case of throwing a bus ticket away, as much as a £100 fine or 3 months in prison (at a time when £10 was a good weekly wage for a man and many women only received £2 or £3 a week). Students are divided into 5 groups: ARP Wardens, Fire guards & Street fire party, military, housewives & emergency services such as police & ambulance. Each student is given a character identity card and a connected item such as housewives pinny, side cap & jacket or tin helmet. The students assume the role of that character through the workshop and are put on trial for various wartime crimes. Most of the crimes and punishments are based on real crimes but there are a few red herrings in there. The students have to work together in their groups to try to decide if the crimes are real or not. Each group votes and the majority vote moves our swingometer one way or another, either towards invasion or towards victory! The final crime is the capture of the infamous spiv ‘shady sid’. Students turn policeman as they learn about the spiv & try to solve the clues and gain final victory points. Hopefully by their combined efforts as during the real war, victory will have been achieved. As we progress through the crimes we learn a little more about each group and what their role was during the war. The workshop covers, ARP issues, bombs, the blackout, rationing, housewives, ambulance, fire guards, home guard etc. The hour ends with a show & tell, where students come and look at our various artefacts. 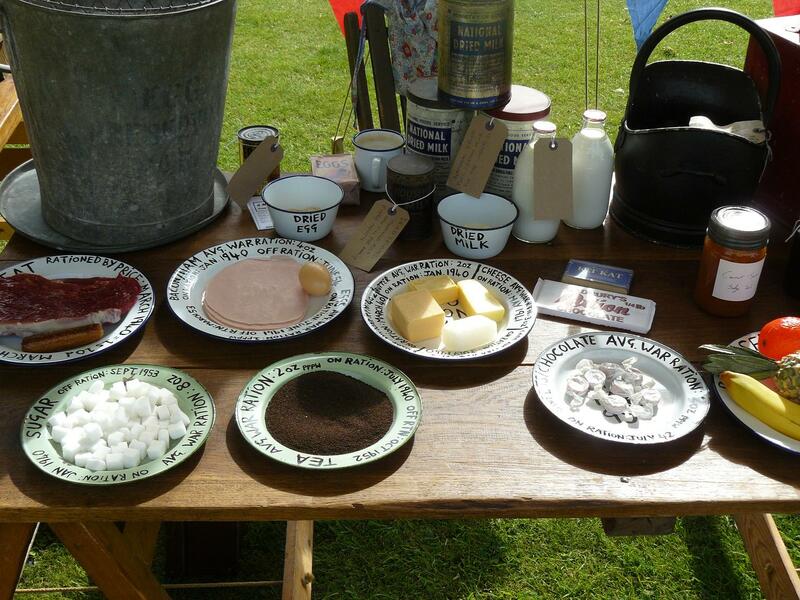 We have a table on rationing where students can see what an average weeks rations were. For those of a military mind we have a Lewis machine gun & a SMLE rifle, both first used in WW1 but used by the Home Guard during WW2. 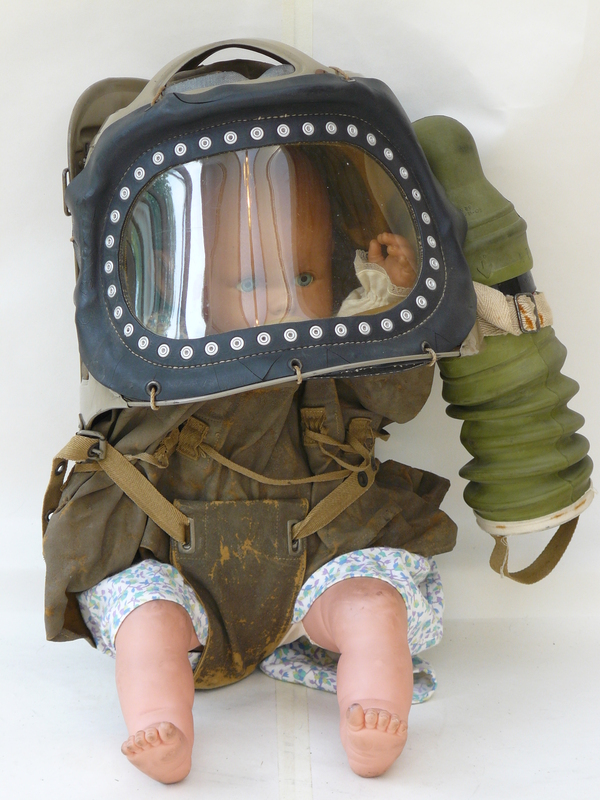 We also have mills bombs and various other militaria related items. Students can examine and try on our gas masks which have been cleaned & certified safe by an asbestos removal company. We have adult & mickey mouse gas masks & a baby respirator hood. 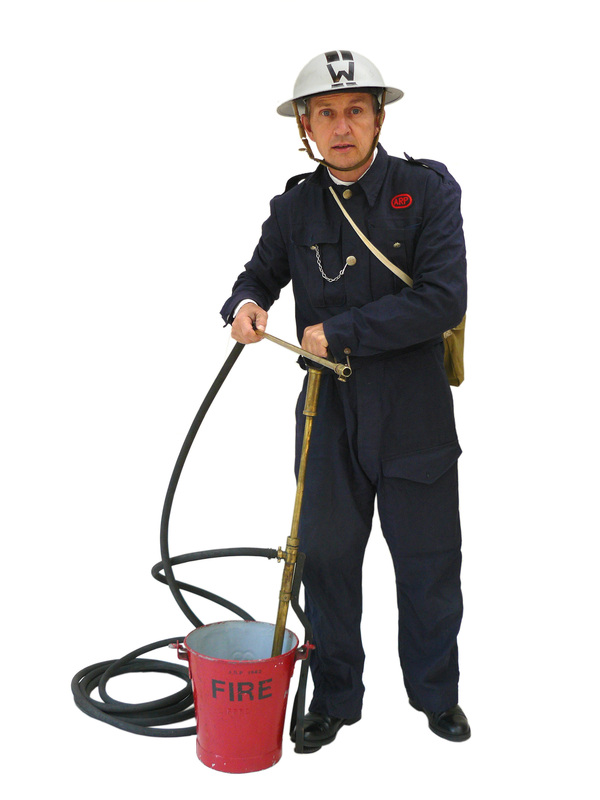 There are also many original first aid items, an incendiary bomb & fire fighting equipment. We also have for hire a single size original Morrison table shelter, the sort that would be set up in a dining room, which students are most welcome to try out. It had been converted into a workbench by it’s owner who had owned it since the war. It is now lovingly restored. The shelter is placed on wooden blocks to protect your floor. Due to its heavy weight it must be set up in a ground floor room with no steps on route to the room. 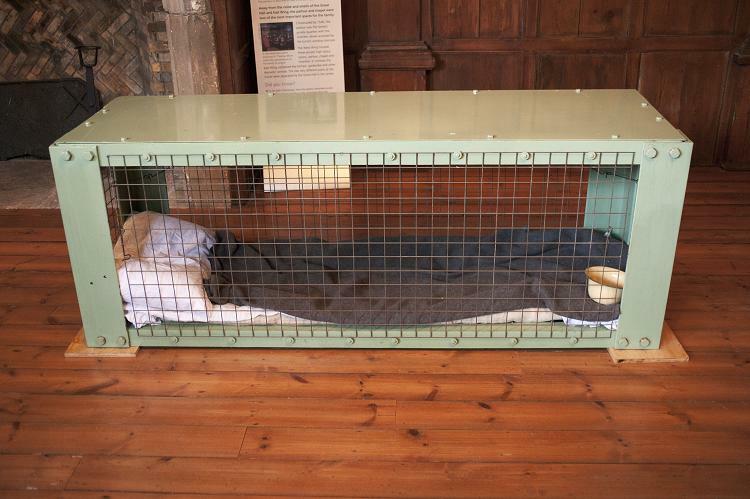 The shelter was used by a pregnant woman during the war, whilst the rest of her family slept in an Anderson shelter outside. They painted it green to match their sofa. We have also met the family of the man who designed the Morrison shelter who believe ours to be an original and very early model. There is an additional charge for the shelter as it adds considerable time onto our set up. N.B. Once it is setup, it can not be moved or taken down until the workshops are finished. It was designed to stop bombs & is VERY heavy.